The art critic, professor and historian earned the name "Professor Street Art" once his investigation of the global phenomenon came out in 2012, entitled Stay Up! : Los Angeles Street Art. 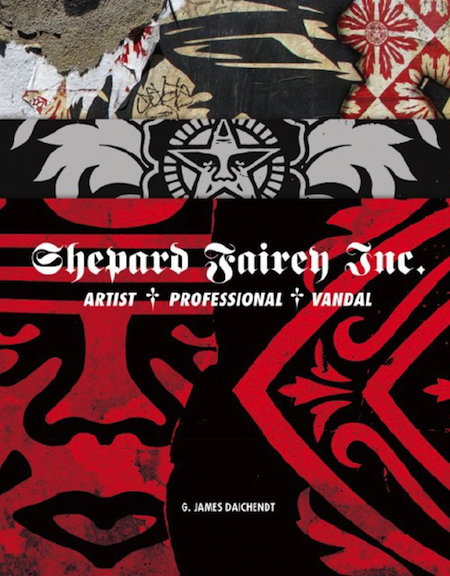 He continues to explore the subject in a new book centered on one of the world's most influential street artists, Shepard Fairey Inc.: Artist/Professional/Vandal. He presents and signs copies of this critical observation of Fairey's work and life tonight and also takes part in a conversation with noted guerrilla poster artist, Robbie Conal, who penned the book's foreword. American Cinematheque hosts a screening of the director's daring fantasy drama from 2001, Donnie Darko, at the movie theater that was used for scenes in the film. Afterwards, there's a discussion with Kelly and a showing of the film that Donnie (Jake Gyllenhaal), Gretchen (Jena Malone) and Frank the rabbit (James Duval) watched in the theater: Sam Raimi's The Evil Dead. I mean, what could get you in the Easter spirit more than a giant, monstrous rabbit with visions of the future? Not going to lie, this is the event I am most excited for this weekend since one of the things I love most about our city is the food and the myriad of cultures represented in L.A. cuisine. This multi-ethnicity is celebrated today and tomorrow with over a hundred food (more than 40 of them serving Korean dishes alone) and merchandise booths, carnival games, musical performances and a bar crawl. You can sample food from "Top Chef" Season 11 contestant Brian Huskey's upcoming restaurant Table 13, Ham Ji Park and Mama Musubi, in addition to Keizo Shimamoto's famous ramen burger. The event's Food Truck Alley features some of the city's best, including all the winners from the first three seasons of "The Great Food Truck Race": Grill 'Em All, The Lime Truck and Seoul Sausage Company. Just because you don't have fistfuls of cash for a ticket to a huge, corporate festival doesn't mean that you have to miss out on any the fun. For its fourth annual event, cARTel Collaborative Arts LA has expanded to a bigger venue, which means more art, music and comedy to brighten your day for just $10 presale or $20 at the door. Musical acts include the Singles, Hott MT, yOya, La Font, Earnest Blount, Raven Sorvino and many more on the fest's four stages. Added bonuses: You don't have to sit in hours of traffic or melt in the sun. It's the top day for any vinyl collector, with special releases available at all the independent stores you love in Los Angeles. From Record Surplus and Origami Vinyl to Gimme Gimme and Amoeba Music, vinyl aficionados shall flock to the shops for exclusives, reissues, giveaways and to socialize with their fellow audiophiles. Some releases to note include Deer Tick's Eel Bowel seven-inch, a Veruca Salt 10-inch, a new album from Thee Oh Sees and a limited edition split from Conor Oberst and Dawes. The film world lost a real gem when the comedic actor, director and writer passed away in February. Pay tribute to his cinematic legacy by heading to this double feature of some of his unforgettable work today or tomorrow. There's a screening of Stripes at 3 p.m. and 7: 30 p.m. today (7:30 p.m. Monday) and Groundhog Day at 5:05 p.m. and 9:35 p.m. today (9:35 p.m. Monday). Ramis co-wrote and starred in Ivan Reitman's 1981 war-comedy, Stripes, with Bill Murray as two friends who join the army. he directed and co-wrote 1993's Groundhog Day, which also starred Murray alongside Andie MacDowell as a weatherman who is forced to relive the same day over and over and over again. Nothing cures the post-weekend blues like dancing to some live music, and I can't think of a better way to spend a Tuesday evening than grooving to this hip-hop artist's tracks. 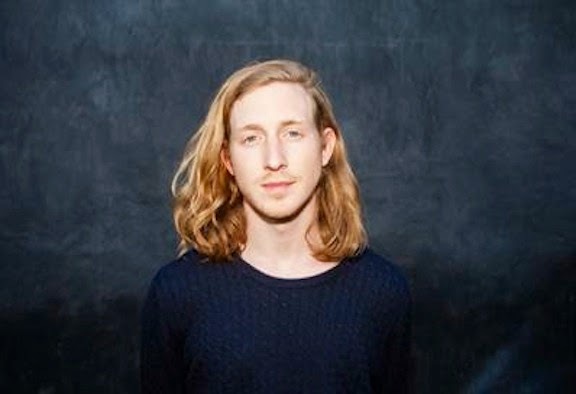 The L.A. transplant (via Pennsylvania) releases his second full-length album, RetroHash, today and is celebrating with a release show at the Troubadour tonight. 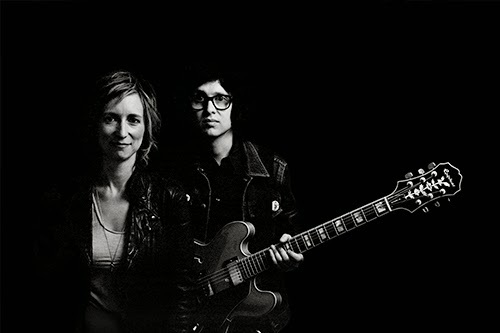 You'll find yourself swaying back and forth and clapping along to new songs like "Tangerine Girl" in no time flat. My favorite part of the old PeopleMover ride at Disneyland was the tunnel with scenes from the 1982 Disney film Tron. It felt like you fell into the video game just like in the movie and would see Jeff Bridges go whizzing by amidst the brightly colored lines of light at any moment. Cinespia is screening the film at 8:30 p.m. tonight at the gorgeous theater at Ace Hotel, and there will be vintage arcade games to play in the lobby, too. Molecular gastronomy has been part of the vernacular for several years now, and food remains an intriguing subject when it comes to science. Tonight's lecture features a scientist – molecular biophysics professor Dr. Ole Mouritsen – and a sushi chef – Morihiro Onodera of Mori, Katsu, R-23, Matsuhisa and Takao – talking about the Japanese food art form. Mouritsen uncovers the science behind sashimi, nori, sushi rice and umami, while Onodera shares his approach to sushi and details on his partnership with a rice farmer in Uruguay.